1. Mathurapur Lok Sabha Seat candidate Comrade Dr. Sarat Halder. 2. Left Front nominated CPI(M) candidate from Bardhaman Purba Comrade Iswarchandra Das. It was led by Comrade Amal Halder and Uday Sankar Sarkar. 3. 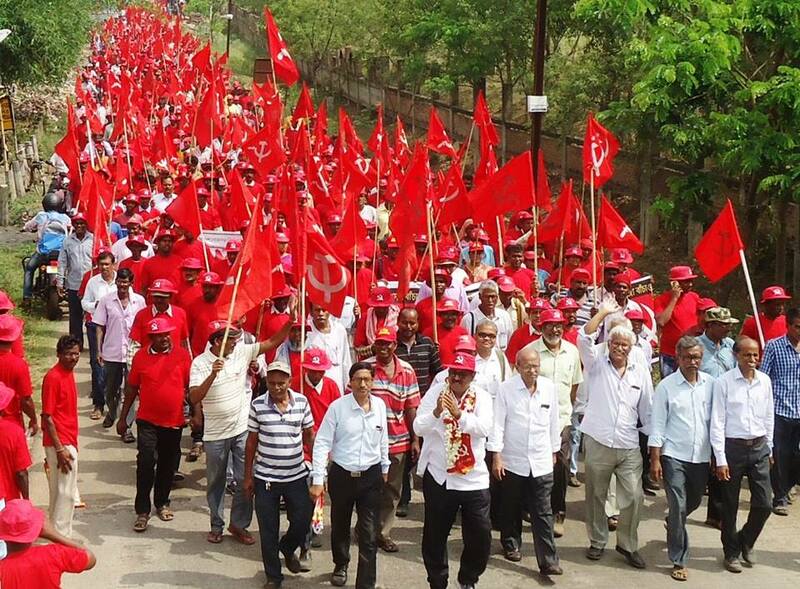 Wave of red flags were seen at Krishnanagr as LF nominated CPI(M) candidates Comrade Shantanu Jha and Comrade Rama Biswas submitted their nominations for Krishnanagar and Ranaghat respectively. 4. Comrades Sunil Khan and Gargi Chatterjee, our candidate from Bishnupur and Barrackpur respectively are getting warm reception in their campaign trails as hundreds of people are joining them. 5. Amidst the elections campaign our comrades are defying immense terror of TMC goons and along with the common people have reopened Sukumar Sengupta Bhavan Party office at Nandigram on April 7. Comrade Rabin Deb and LF nominated CPI(M) Candidate of Tamluk LS Comrade Ibrahim Ali were present. 6. Comrade Abhas Roy Choudhury is candidate from Bardhaman Durgapur and Gargi Chatterjee is candidate from Barrackpur. 7. Comrade Bikas Ranjan Bhattacharya's campaign is getting enthusiastic response from people of Jadavpur.